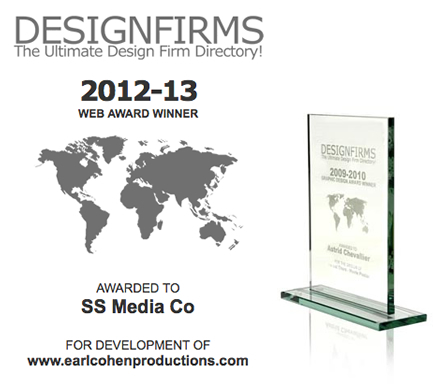 We Won Two 2012-13 Web Design Awards! We are pleased to announce that we have been awarded two Web Design Awards! The first award was for the project we designed & developed for Grammy winning Engineer/Producer Earl Cohen – http://www.earlcohenproductions.com The second design award is for our own website and marks the second time we have received this honour.